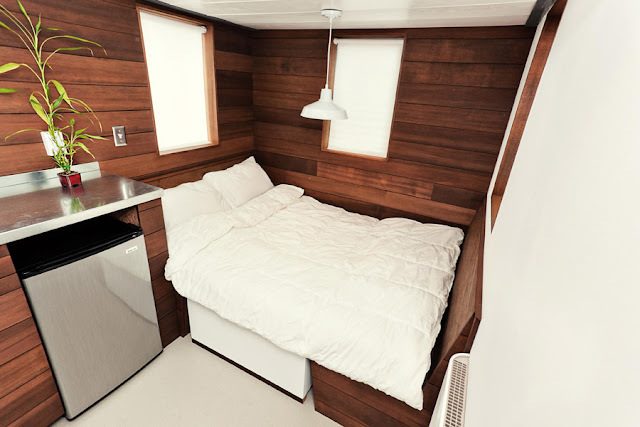 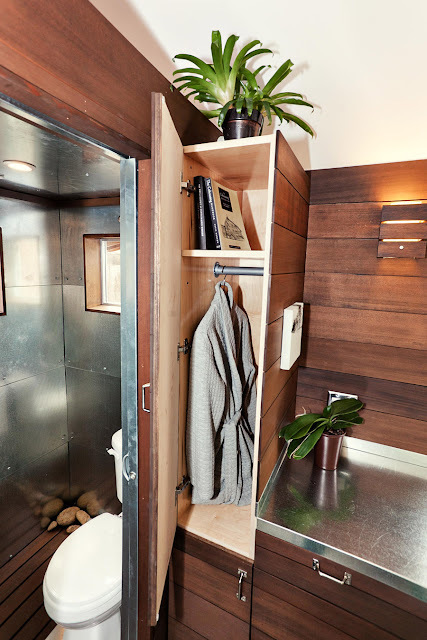 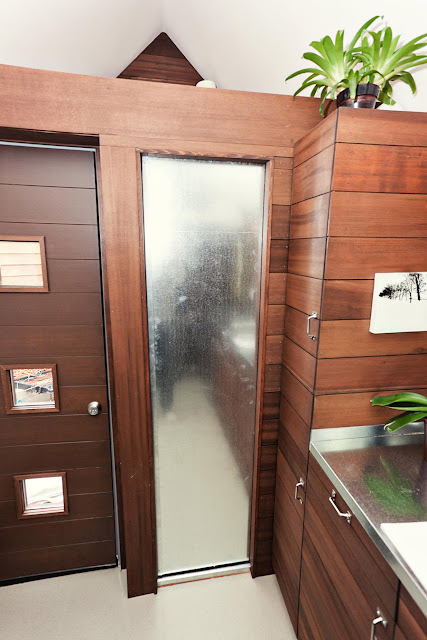 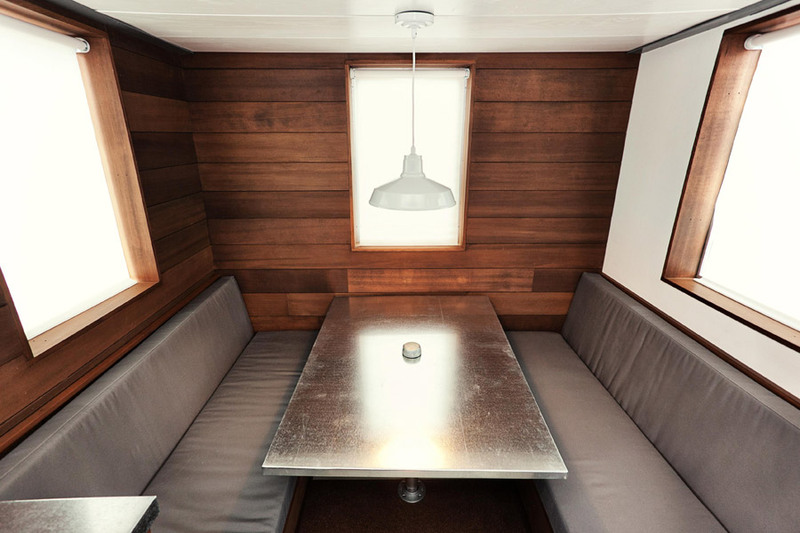 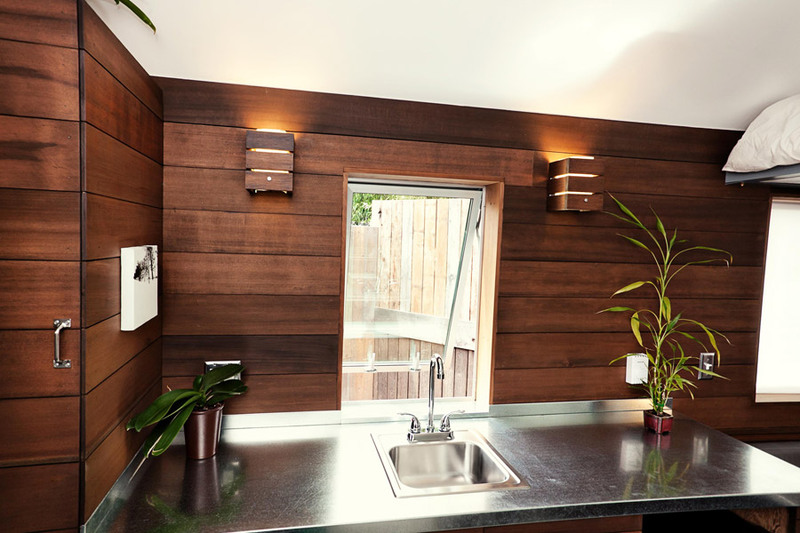 The Miter Box is a 150 sq ft tiny home with an energy efficient. 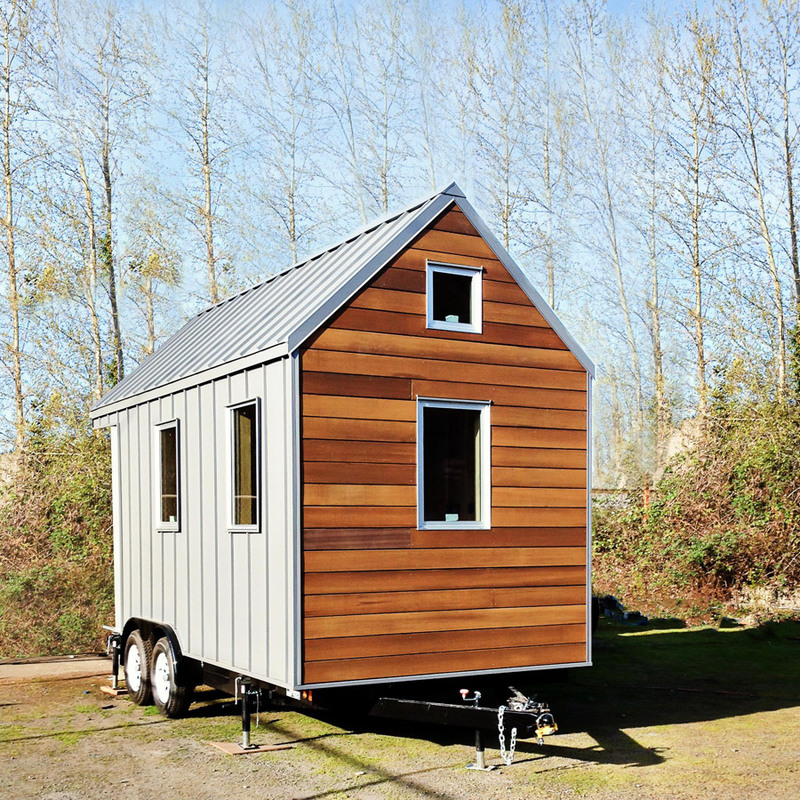 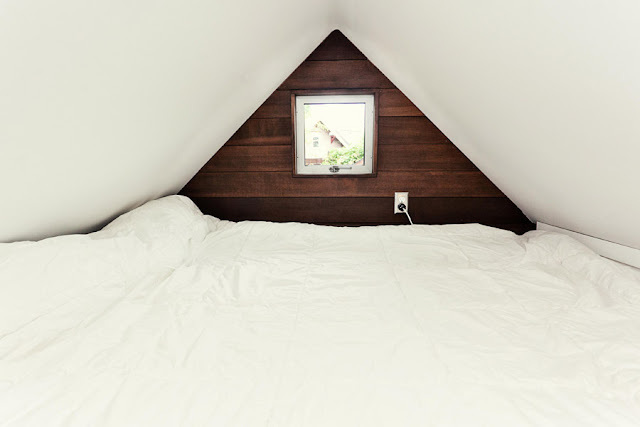 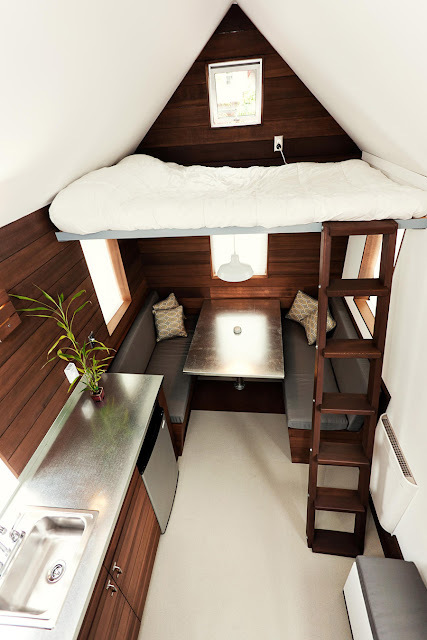 The home is built by Shelter Wise, a tiny house company based in Portland, Oregon. 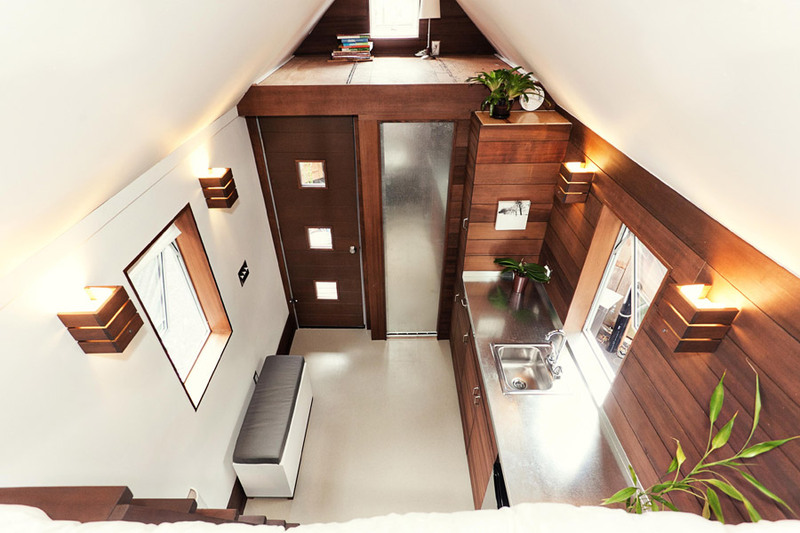 The Miter Box features a kitchen, a dining space that converts into a double bed, a loft bedroom, a full bathroom, and plenty of storage. 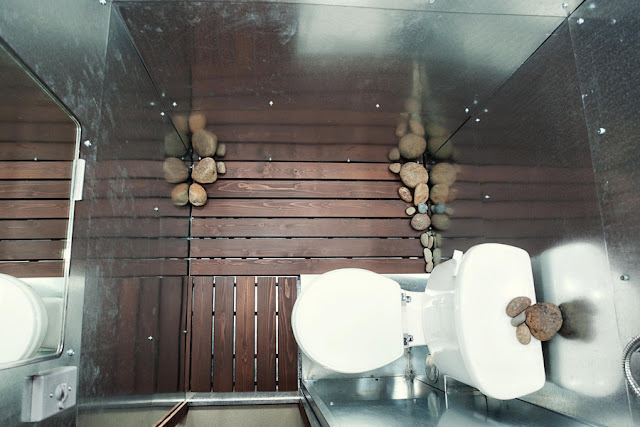 The home is made from reclaimed woods, a mix of metals, and rubber cork. 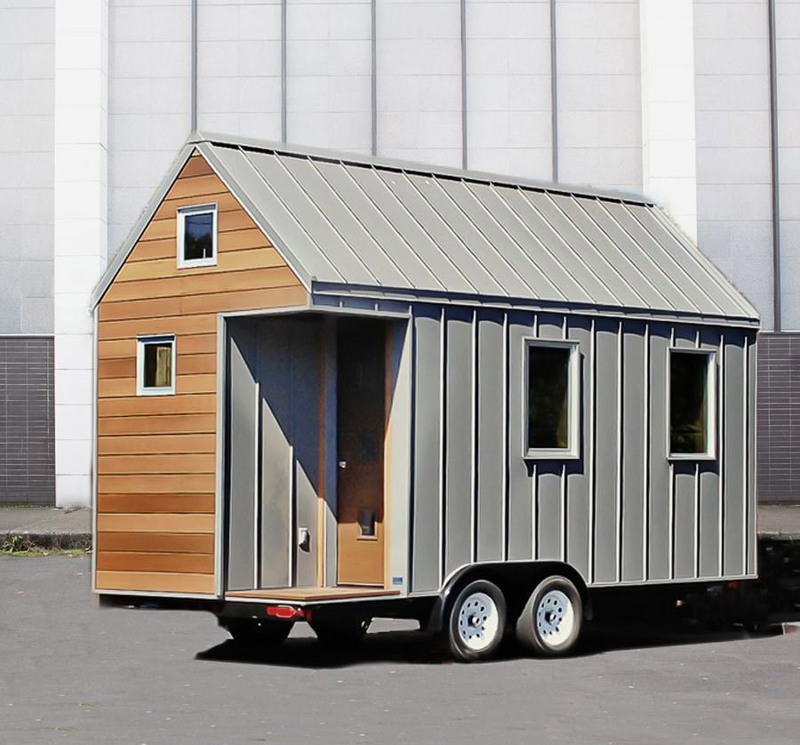 The home’s price starts at $50,000.